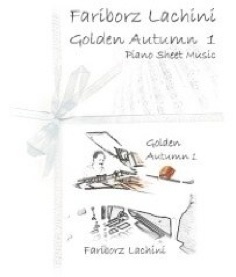 Golden Autumn 4 is the companion songbook to Fariborz Lachini’s 2008 CD release, Golden Autumn 4. The music was transcribed note-for-note from the CD by David Shenton of NY Music Publishing, and includes chord charts for improvising and/or adding other instruments. 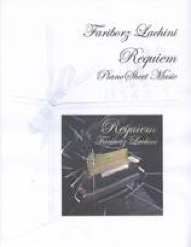 None of the pieces are terribly difficult - it is the emotional content of Lachini’s music that sets it apart from other composers’ work - and most should be quite accessible to players of an intermediate level and above. The music tends to be slow and melancholy and the lovely melodies are played mostly in single notes rather than complex chords on the right hand accompanied by flowing eighth notes on the left. The engravings are clear and uncluttered, and dynamics and expression are included to help the pianist’s performance be as close to Lachini’s as possible. All fifteen pieces from the CD are included and provide about an hour of passionate and relaxing music making at your own piano. 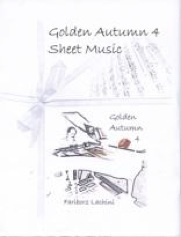 My own favorites to play are “Whisper In the Wind,” Moonlight Memories,” “As Dusk Falls,” and “Autumn Theme.” Golden Autumn 4 is currently available for download exclusively from lachini.com. Recommended!